WATCH: Netflix's Stranger Things Trailer | Nerd Much? **Update 7/18/16: Do we actually want a Stranger Things Season 2? Last year, Netflix announced that the company would produce 31 original series in 2016. One of those series is Stranger Things, a new paranormal thriller series that is set to debut on Friday, July 15th. Today, Netflix revealed the first Stranger Things trailer, giving us a good look at the upcoming TV series. It’s also described as a coming of age story for three boys who draw the community into a world filled with mysteries. 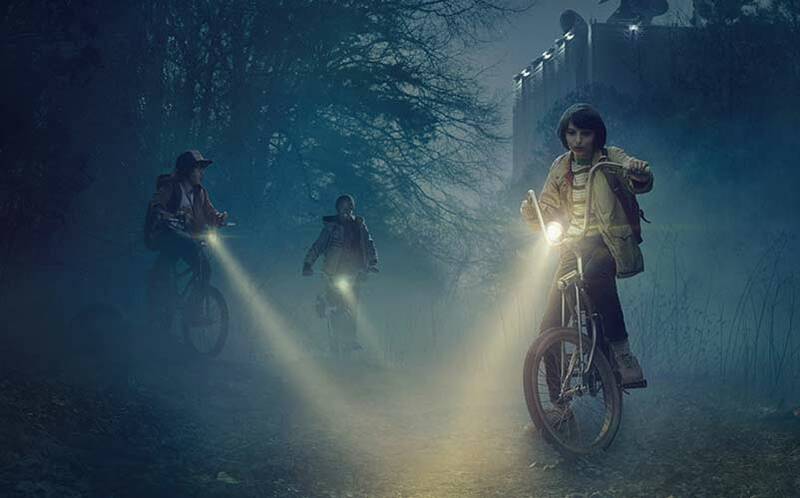 Stranger Things, which is created by The Duffer Brothers (creators behind Wayward Pines), will star Ryder, Matthew Modine, David Harbour, Charlie Heaton, Natalia Dyer, and more. Stay tuned to Nerd Much for a review after the series hits Netflix. In the meantime, check out the intriguing first Stranger Things trailer above.